Combine crab meat, half the breadcrumbs, bell pepper, half the beaten eggs, celery, salt, paprika, cayenne pepper, chives, and cilantro/parsley together and form 8 equal sized balls. 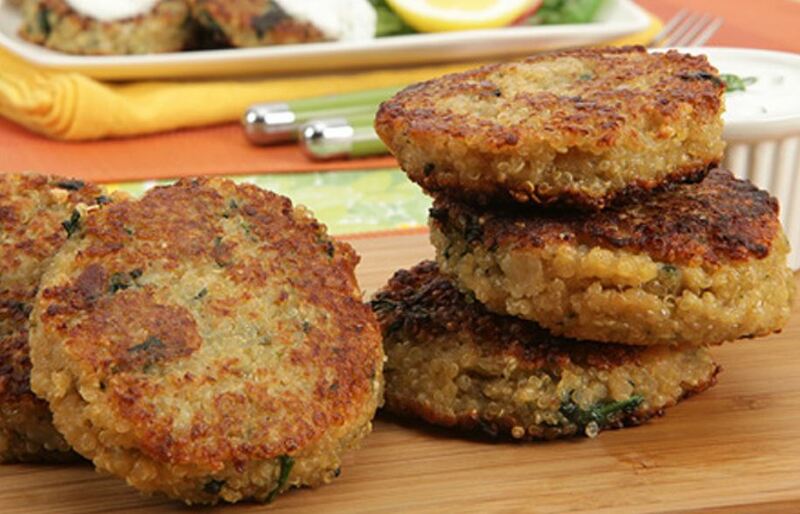 Flatten into crabcake-sized disks and smooth the edges for each. Place remaining beaten egg in one dish, remaining half cup breadcrumbs in another, and flour in another dish. Dip a crabcake into the flour, then the egg, and finally the breadcrumbs. Place a pan over medium heat with one tablespoon of the olive oil. Allow oil to warm until it is shimmering, about a minute. Place 4 of the crabcakes in the pan. Cook until crisp on the bottom, for about 3 to 4 minutes, and flip and cook on the other side for an additional 4 minutes until golden crisp. Place on paper towel lined plate. Repeat with second batch. Top with sauce or serve it on the side.